Yes, the Bill O'Reilly book-based special to end all Bill O'Reilly book-based specials is too large for just one evening: the National Geographic Channel will air Killing Jesus (to be produced by Ridley Scott, as were partnerships Killing Lincoln and Killing Kennedy) over two nights and four hours, with a teleplay by Walon Green. National Geographic went big on this year's upfront presentation after several years of smaller-scale one-on-ones with the press. As the network has grown under David Lyle since his appointment as CEO in 2011, it's had help from corporate siblings (new Fox broadcasting hit Cosmos re-airs on Mondays), but it's also managed to grow its own hits, notably last year's Brain Games, which earned both plaudits and legions of imitators before it even aired. Rich Goldfarb, head of ad sales for the network, said that the company had had particular success with integrated ads in the previous year. General Motors, among others, has had trucks featured in the Alaskan Wild, and Goldfarb said Brain Games had lent itself well to integrated advertising. "If you'd asked me to come up with a show to sell to advertisers, I would have come up with Brain Games," he said. The network's batting average has gotten high: the upfront boasted three renewals (for a second season) and six returning series (for a third season or more). Among the new shows on the net were You Can't Lick Your Elbow, which, in addition to its informative title, will teach viewers about things their bodies can (and cannot, no matter how far you bend your neck) do. 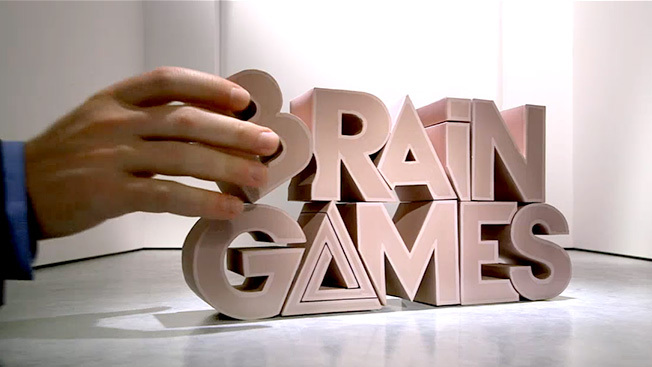 NatGeo is calling this genre of programming "smartertainment" and seems to be looking for shows to tap into the same market that likes Brain Games. Other series include Crowd Control, about how to encourage good behavior in public, and Going Deep with comedian David Rees, a show about how to improve everyday activities like shoe-tying (the press kit handed out at the end of the presentation included a 200-page-plus book by Rees called How to Sharpen Pencils). In other genres, the network is in familiar territory. There's a small-business show called Fish Tank Kings, a miniseries recalling both the format and the perspective of NatGeo's The '80's called The '90's (the title card featured both O.J. and Bill Clinton being sworn in), and Dr. Oakley: Yukon Vet, about veterinarian Michelle Oakley, who told Adweek she'd recently been avoiding stampeding elephants in Sri Lanka. NatGeo also has a new documentary called The War Generals set for release, featuring interviews with David Petraeus, Colin Powell, Stanley McChrystal and Wesley Clark, among others.